Located in the heart of Warrnambool city, The Best Western Motor Inn offers a range of accommodations. The rooms are spacious and well furnished, and are equipped with generously-sized beds to ensure that you get a good night’s sleep. 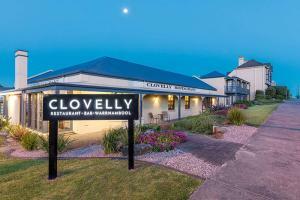 Enjoy the relaxed and friendly atmosphere at the Clovelly Restaurant, located on-site or get social with family and friends at the Tavern, which features a cozy fireplace and a leather chesterfield, making it the perfect spot to enjoy a pre-dinner drink or nightcap. Located approximately 7 miles from the Warrnambool airport. Melbourne is approximately 160 miles away.